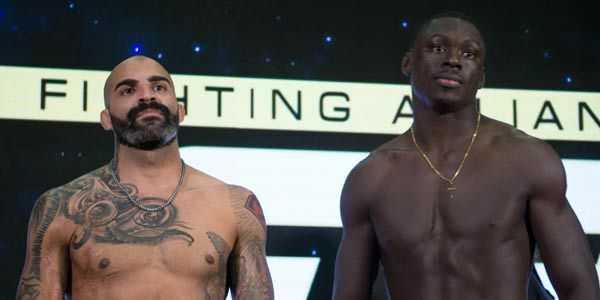 Legacy Fighting Alliance will kick of 2018 on AXS TV with LFA 30 which will feature the long-awaited clash between southern California kingpins and top LFA welterweights “Curtious” Curtis Millender and “The Phoenix” Nick Barnes. LFA 30 – Millender vs. Barnes takes place Friday, January 12th at the Costa Mesa Hall at the OC Fairgrounds in Costa Mesa, California. The entire main card of LFA 30 – Millender vs. Barnes will be televised live and nationwide on AXS TV at 10 p.m. ET / 7 p.m. PT. Millender (13-3) returns home to the building where he fought and won his first seven fights. The Orange County juggernaut is looking to build off a perfect 2017 where he won three fights, including back-to-back LFA headliners. His most recent win came via highlight reel Head Kick KO in the main event of LFA 24. Millender will meet Barnes (12-2) in a long-awaited showdown between two of southern California’s finest. 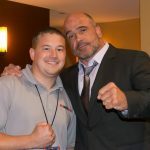 The welterweight stars started their careers in the southern California regional circuit, moved on to Bellator, and will finally meet in the main event of LFA 30. Barnes, like Millender, is coming off an impressive win in an LFA headliner this past August at LFA 20. While the main event will feature a rivalry between two of the top welterweights in LFA, the co-main event will feature a rivalry between two of the LFA featherweight division’s most talented jiu-jitsu practitioners. LFA 30 will be commentated by Ron Kruck, UFC Hall of Famer, Pat Miletich, and cageside reporter Phoenix Carnevale.